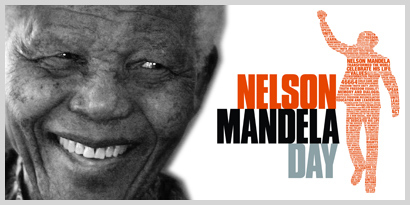 Nelson Mandela Day, a global movement that all families should be aware of. On July 18 more than 100 countries are set to join South Africa in its commemoration of Nelson Mandela International Day. The day was launched in recognition of Mandela’s birthday via unanimous decision of the UN General Assembly. The day was inspired by a call Nelson Mandela made in 2008, for the next generation to take on the burden of leadership in addressing the world’s social injustices when he said that “it is in your hands now”. Our children are this next generation, and educating and celebrating his life and legacy will hopefully have a positive effect on the youth of today. This global movement not only honours his life’s work but it encourages adults and children alike to act to change the world for the better. This year marks the first time the day has been celebrated without the icon, however more than 1000 worldwide events are set to be held this year, more than any other year. In recognition of his legacy and of this day, the City of Toronto is planning to honour Nelson Mandela with a dedication of a city street, which is yet to be announced. Also, back in June the president of the Toronto Raptors, Masai Ujiri, organized and event to honour Nelson Mandela. Joined by a number of celebrities and business leaders the event raised significant funds for Giants of Africa and the Nelson Mandela Foundation. Why not ask your child to donate a toy? Explaining that there are many children who aren’t lucky enough to have the same privileges. What about encouraging your children to ride their bikes more? Then sign up for a cycle challenge and raise some money for charity. Or what about using your shoppers points to buy a gift card and giving it to someone who cannot afford to buy food? Tomorrow, March 29, at 8.30pm millions of people are expected to switch off their lights in their offices and homes. Countries worldwide are also going to switch off the lights on famous landmarks to mark WWF’s annual Earth Hour. The mass participation event is to show support and commitment for environmental change. The CN Tower, Metro Toronto Convention Centre (MTCC), Rogers Centre, Oxford Properties – MetroCentre, The Fairmont Royal York hotel, Air Canada Centre, Roy Thomson Hall and Bell Media’s Toronto Headquarters will turn off their lights as a symbol of their commitment to the planet. This year the Intergovernmental Panel on Climate Change is planning to launch its latest report on Monday, a few days after Earth Hour. It will outline how global warming is going to affect food supplies, water, the weather and wildlife in the coming years. Earth Hour allows families to prepare and educate themselves not only on these foreseeable changes but how making a conscious effort in one’s daily life can help to reduce the carbon footprint. “The significance of these two events is massive. Climate change is the biggest environmental threat facing our planet – it’s real, it’s happening right now, and we need to act fast” said Colin Butfield, director of public engagement and campaigns at WWF-UK. There are many fun educational ways parents can approach the topic of climate change with young children and teenagers alike. Why not research the history of famous landmarks that take part in Earth Hour? Find out about endangered species and come up with innovative ways we can save energy. 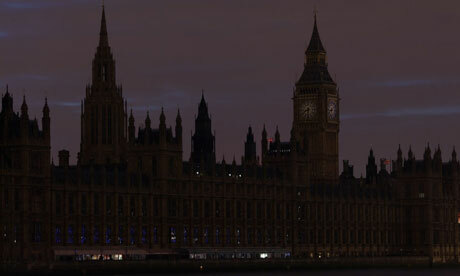 For ideas of things to do in the dark during Earth Hour, The Guardian has put together an interesting list of ideas.